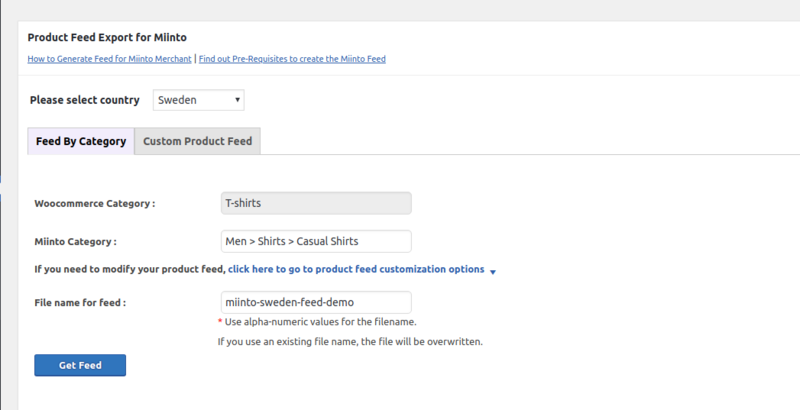 Looking for an easy way to setup your WooCommerce to Miinto product feed? Follow the process step by step and get the product feed for Miinto ready and good to export from WooCommerce and other Cloud based platforms within few minutes. 2. Register for trial or premium license key from here. 3. Save the license key. Please note that if you are using trial version, the plugin will only create feed for up to 100 SKUs. 4. Now, Go to ‘Create New Feed’ option on plugin menu. 5. Select Miinto from “Select Merchant” drop down. 6. 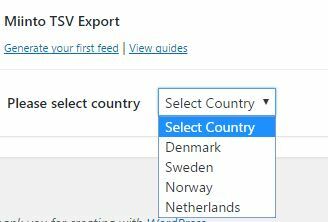 Now, select the Country where Miinto provides its services and you want to sell your products through this merchant. 8. 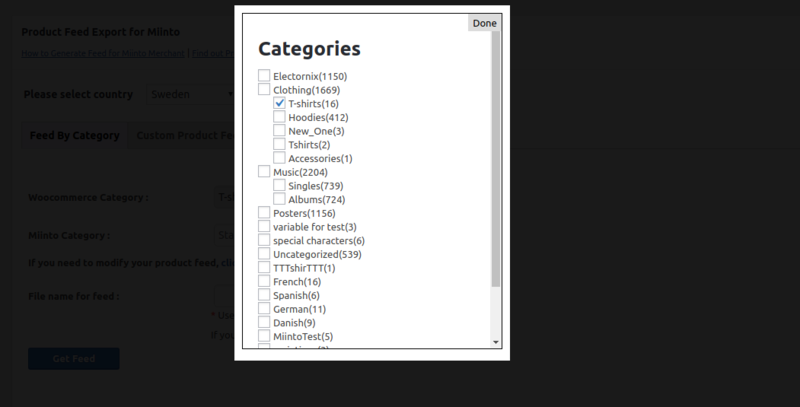 Choose your WooCommerce product category to include in WooCommerce to Miinto product feed. 9. Type in Miinto Category name, a list will appear, select one from the list. 10. 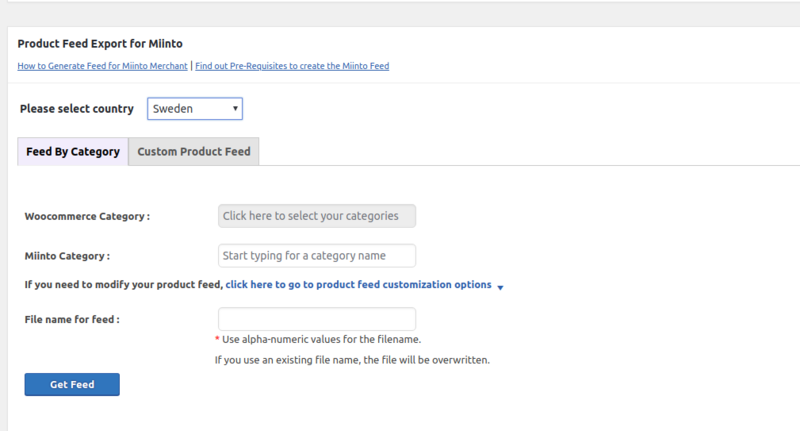 Give a name to the product feed file you create for Miinto merchant. 11. Click on ‘Get Feed’. You can also view your recently created feeds from the Manage Feed tab. 12. Click on ‘View Feed”. You will get a feed in a new tab of the browser. You can also grab the feed URL of your product feeds from the Manage Feed sub-menu. Grab the WooCommerce to Miinto feed URL and submit it to the Miinto merchant account. In case of any concerns please contact us for support.